Today only, there is a great Amazon deal on Winter Coats for the whole family. 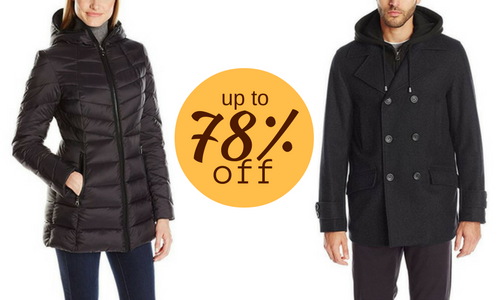 Get up to 78% off great brands like Nautica, Calvin Klein, Levi and more. This offer is today only, 12/13. Shipping is FREE on $49+ orders. Or get any size order FREE 2-day shipping with Prime. If you don’t have Prime you can try it free for 30-days.